BnB 41: Our Big (NOT) Naked Recap! The Broads make a stand for their turf in the new neighborhood and tell a few stories about the craziness that has transpired in the recent weeks. 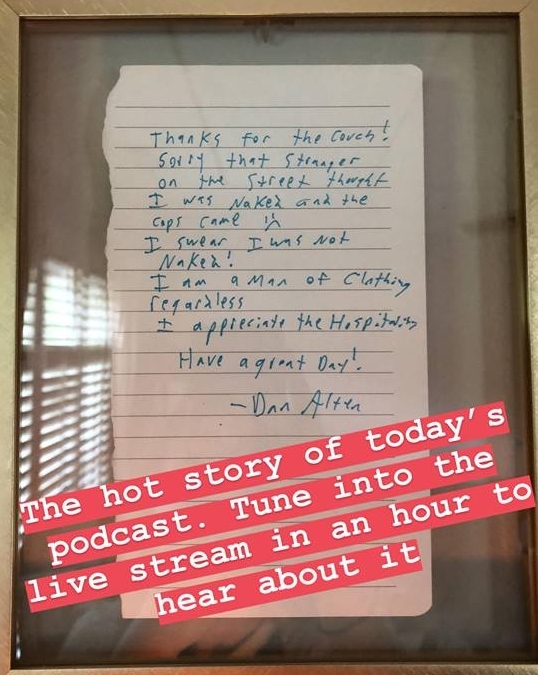 The Dan Alten Story is told in its full truth, and we reflect on some interesting hypotheticals after hearing from our friend Alice from Oakland. WARNING: Anything after :22 mins is NSFW, if you thought any of this was in the first place. Dark comedy is the will of the world, and free speech is our right.